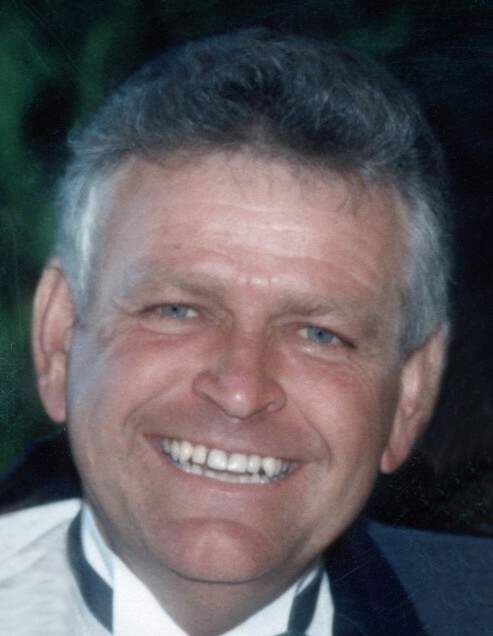 Donald DeWayne Heffner passed away at home in Montour on June 15, 2018. His parents were Virgil Van and Marcella Marie Heffner (nee Gatfield). He was born in Emmett on December 28, 1941, joining older sister Marcella. Later, the family would expand to include siblings Van, Randy, Sue, & Ron. Don graduated from Council High School and remained close with all his classmates the rest of his life. Growing up, he spent a lot of time at his grandpa and grandma Gatfield’s farm in Montour . Don was extremely fortunate to meet and marry Donna Amyx in 1964. Her family had a farm and view property in Montour. They started Volcanic Jersey Farm there and raised two daughters, Lyndee & Angie. Don had a real knack for growing things and hay growing was an early specialty. In the late 70’s he was president of the Idaho Hay Grower’s association and wrote a paper on producing top quality alfalfa hay. He also raised fields of melons and sweet corn that ultimately became Volcanic Farms Produce. In the mid-80’s, he began selling their corn & watermelons out of his pickup, then later built a full-fledged produce stand with a commercial kitchen at the intersection of Hwys 55 & 52 in Horseshoe Bend. For the past 20+ years, Volcanic Farms has supplied corn to Idaho Mountain Search and Rescue for them to sell at the Western Idaho Fair as a fundraiser. His wife Donna grew the business by adding pies and Volcanic Farms Produce is best known for their amazing pies, as well as delicious sweet corn, melons, and other produce. Don had a lifelong love of the outdoors, spending every vacation when he was younger camping and fishing in the Sawtooth and the Salmon-Challis National Forests. Don always loved to drive and travel and in 1986 began making regular trips to beautiful destinations in Mexico that were off the beaten path. His love of Mexico turned into paid tours in a passenger van with Don as the tour guide. On his 50th birthday, Don took his first snow skiing lesson and was hooked. He continued skiing until his health forced him to quit. Most people have several sports teams that they root for, but Don was all Boise State all the time. He could take any conversation and turn it to how the football team was doing and what they needed to do to get better. He was preceded in death by both parents, his sister Marcella, and brother Van. He is survived by three younger siblings, his wife Donna, daughters Lyndee Stelling (Craig) and Angie Heffner, as well as grandchildren Catalina and Jin Rolland and Rachel Stelling. Donations may be made to the Marcella Heffner Scholarship at Boise State University. Bronco Athletic Association, 1910 University Dr, Boise, ID 83725. Services will be held at 2:00 p.m. on Saturday, June 23, 2018 at the Potter Funeral Chapel in Emmett. Viewing will be held one hour prior to services at the Chapel. Burial will follow in the Sweet Cemetery.